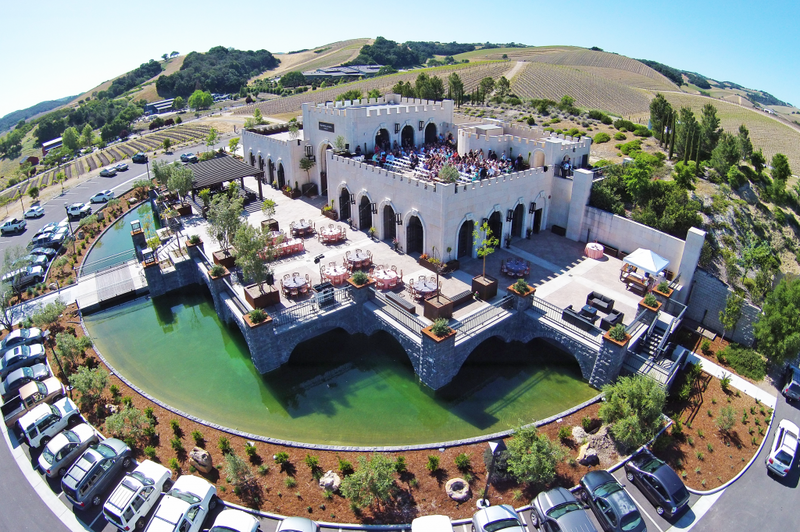 Known by some locals as the ‘Castle on the Hill’, Tooth and Nail Winery is truly a unique centerpiece to the Paso Robles region. Since opening the tasting room doors in 2015, the winery has presented itself as both a destination location and a premium wine provider here on the Central Coast. Located off of Highway 46 West in Paso Robles, Tooth and Nail has become a household name when people think of Central Coast wine. Tooth and Nail pours four different ‘lines’ of wine with varieties ranging from Cabernet Sauvignon and Pinot Noir to Viognier and Chardonnay. The first and most popular is the Rabble line; these are single varietal wines known for the true characteristics of the vine itself. Next is the Tooth and Nail line which are most notable as unapologetic blends, both thick and rich in the reds as well as balanced and clean in the whites. The Stasis and Amor Fati wines are both barrel selected and tend to be for a more experienced palette. The Stasis in particular is a wine large in texture and balanced in weight and acidity. The Amor Fati line produces extended hang wines, relying on the discretion of nature to produce for their illusive and beguiling essence. Located in the former Eagle Castle Winery, the Tooth and Nail building is a medieval-style castle with a French chateau spin. Outside you will find a moat and ramparts, similar to how you might image in a castle to look during the Crusades. Conversely, when approaching the entrance you get a much softer, more welcoming feel, with lush planter boxes and a wooden pergola welcoming you to the arching wooden front doors. Once inside, the tasting room exudes both contemporary and modern vibes. A long bar topped with a slab of raw metal and a dramatic blackened steel fireplace ushers you into the sleek yet comfortable tasting room. Across the foyer is the banquet hall, known as the Amor Fati room. With room for up to 150 people, this is where Tooth and Nail dinners, receptions, and other events are held. Two terraces atop the castle give boundless views of surrounding wineries and are great for relaxing and drinking in all the castle has to offer. From weddings and bridal showers to costume balls and live music concerts, there is always something on the docket for Tooth and Nail. 9,000 square feet of indoor and outdoor event space allot for grand gatherings of up to 250 people. Smaller rooms inside the castle, including the library, also allow for smaller, more intimate gathering for close friends and family. Join the castle on most Friday and Sunday nights and find yourself indulging in the sweet sound of live music of all kinds. Interested in hosting at the castle or want more details, visit their events page.